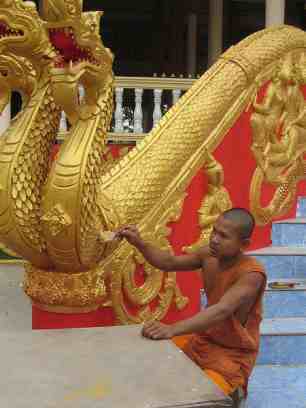 Pha That Luang - The Golden Stupa, national symbol of Laos. Vientiane, is the capital city of Laos, situated in the Mekong Valley. 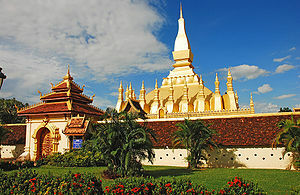 It is also Laos's largest city. 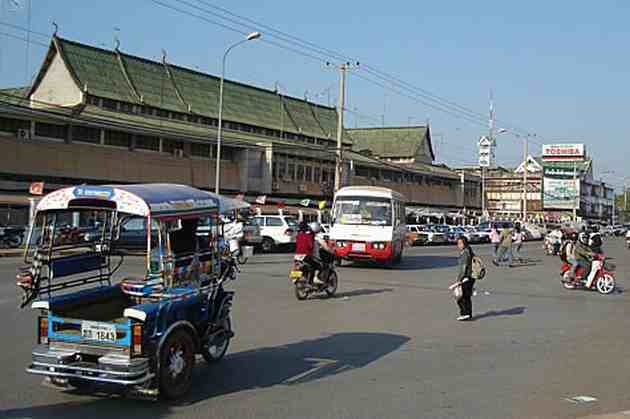 The estimated population of the city is 200,000 (2005) while the number of people living in the Vientiane metropolitan area (the entire Vientiane Prefecture and parts of Vientiane Province) is believed to be over 730,000. 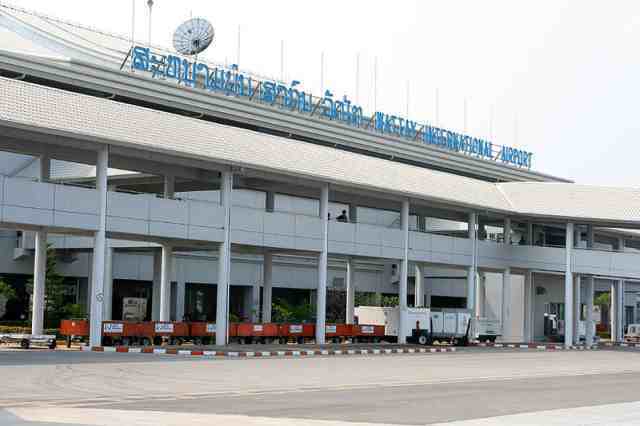 Vientiane is located at 17°58' North, 102°36' East (17.9667, 102.6). The city will host for the first time the 25th Southeast Asian Games in December celebrating the 50 years of SEA Games. Sri Sattanak, or Sisattanak, is a former name of Vientiane. 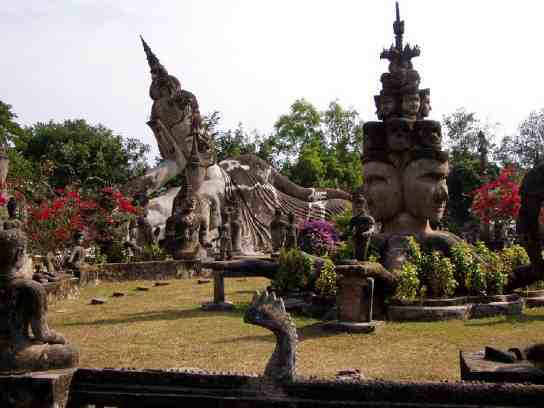 It is often confused with Sri Sattanakanahut, the Pali name of Lan Xang, the Kingdom of the Million Elephants. 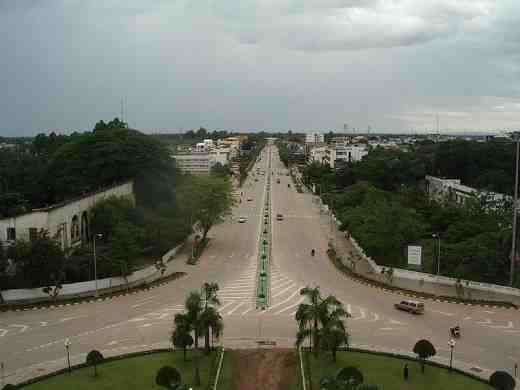 Sisattanak now is the name of one of the five districts of the city Vientiane. 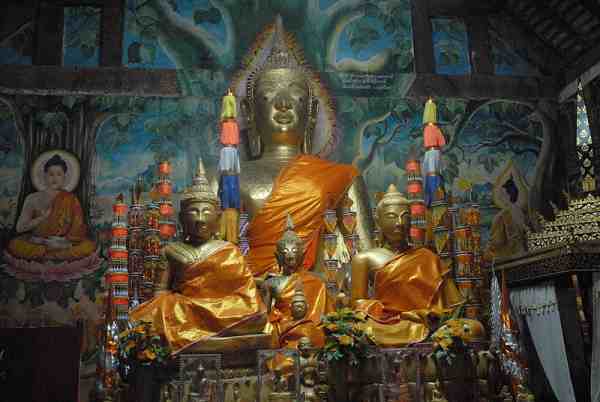 The name of the city is derived from Pali, the liturgical language of Theravada Buddhism. Its original meaning is "royal sandalwood grove" or "city of sandalwood", this tree being highly valued in classical India for its fragrance. In modern Lao, the meaning of Vientiane is ambiguous, and is often mistakenly believed to mean "city of the moon", because the words for 'moon (candra in Sanskrit)' and 'sandalwood (candana in Sanskrit)' are written and pronounced identically as 'jan'. However, the name in Thai, retains the etymologically correct spelling, and clearly indicates "city of sandalwood" as the meaning. 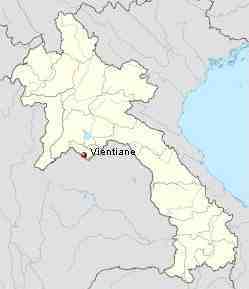 The romanised spelling "Vientiane" is of French origin, and reflects the difficulty the French had in pronouncing the hard "j" sound in the Lao word; a common English-based spelling is "Viangchan", or occasionally "Wiangchan". 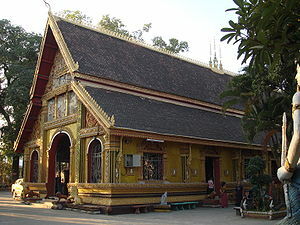 The great Laotian epic, the Phra Lak Phra Lam, claims that Prince Thattaradtha founded the city when he left the legendary Lao kingdom of Muong Inthapatha Maha Nakhone because he was denied the throne in favor of his younger brother. Thattaradtha founded a city called Maha Thani Si Phan Phao on the western banks of the Mekong River; this city was told to have later become today's Udon Thani, Thailand. One day, a seven-headed Naga told Thattaradtha to start a new city on the eastern bank of the river opposite Maha Thani Si Phan Phao. The prince called this city Chanthabuly Si Sattanakhanahud; which was told to be the predecessor of modern Vientiane. Contrary to the Phra Lak Phra Ram, most historians believe Vientiane was an early Khmer settlement centered around a Hindu temple, which the Pha That Luang would later replace. In the 11th and 12th centuries, the time when the Lao and Thai people are believed to have entered Southeast Asia from Southern China, the few remaining Khmers in the area were either killed, removed, or assimilated into the Lao civilization, which would soon overtake the area. In 1354, when Fa Ngum founded the kingdom of Lan Xang, Vientiane became an important administrative city, even though it was not made the capital. 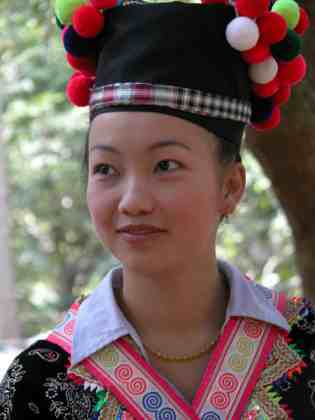 King Setthathirath officially established it as the capital of Lan Xang in 1560. When Lan Xang fell apart in 1707, it became an independent kingdom. In 1779, it was conquered by the Siamese general Phraya Chakri and made a vassal of Siam. When King Anouvong raised an unsuccessful rebellion, it was obliterated by Siamese armies in 1827. It eventually passed to French rule in 1893. 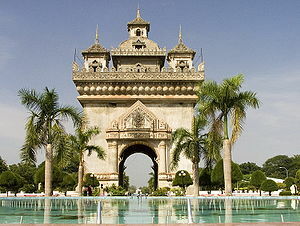 It became the capital of the French protectorate of Laos in 1899. Vientiane will host the 2009 Southeast Asian Games, with 18 disciplines being dropped from the previous games held in Thailand due to Laos' landlocked state and the lack of adequate facilities in Vientiane. 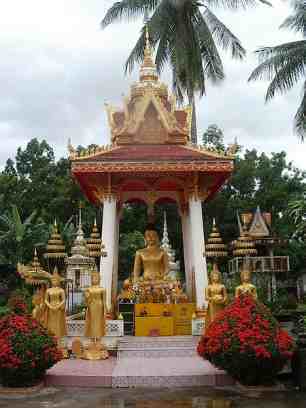 Vientiane is located in and is the capital of the Vientiane Prefecture (kampheng nakhon Vientiane). There is also the Vientiane Province — the prefecture was split off from the province in 1989. 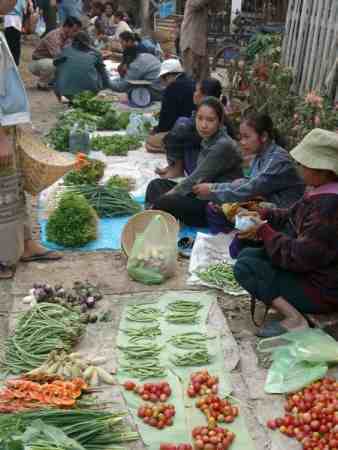 Vientiane is situated on a bend of the Mekong river, which forms the border with Thailand at this point. Vientiane is home to one of Laos's only bowling alleys (the other bowling alley being in Luang Prabang) and its only mosques. There are many upper-class hotels in Vientiane. This page was retrieved and condensed from (http://en.wikipedia.org/wiki/Vientiane) see Wikipedia, the free encyclopedia, November 2008.